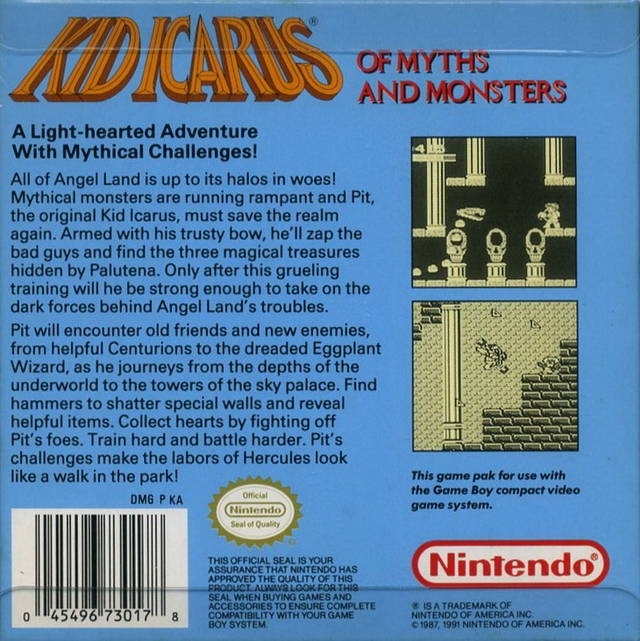 Angel Land is once again in peril, this time by the forces of the demon Orcos. The goddess Palutena sends Pit on a mission to recover the Three Sacred Treasures: the Wings of Pegasus, the Silver Armor, and the Light Arrows. Only then, with these sacred items in his possession, will Pit make his fateful stand against the powerful Orcos. 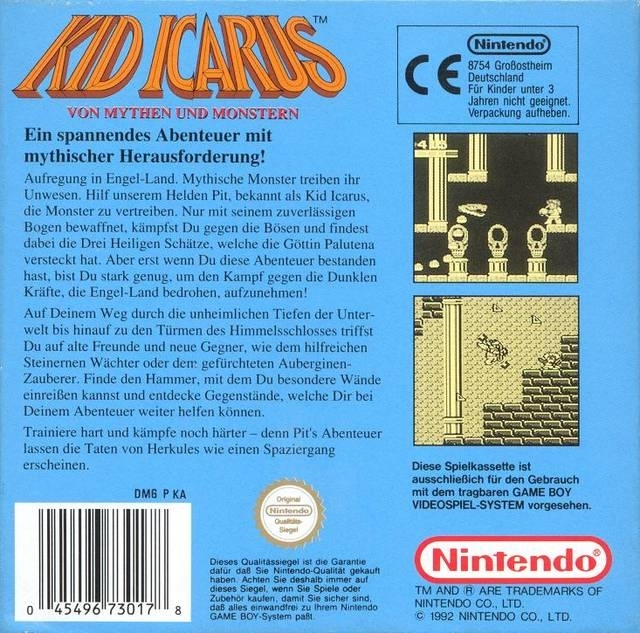 Kid Icarus: Of Myths and Monsters was developed by Nintendo R&D1, released in 1991, and is the sequel to the 1987 NES classic Kid Icarus. 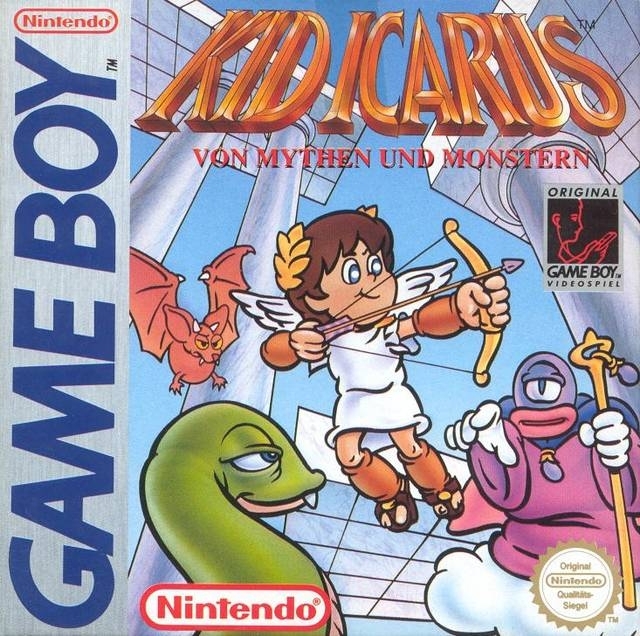 This is easily one of the best GB games ever. 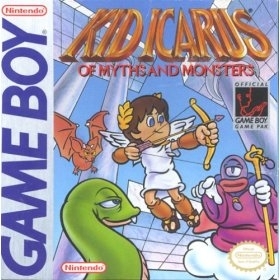 Metroid II, Kid Icarus, and Tetris: The Holy Trinity of GB games.